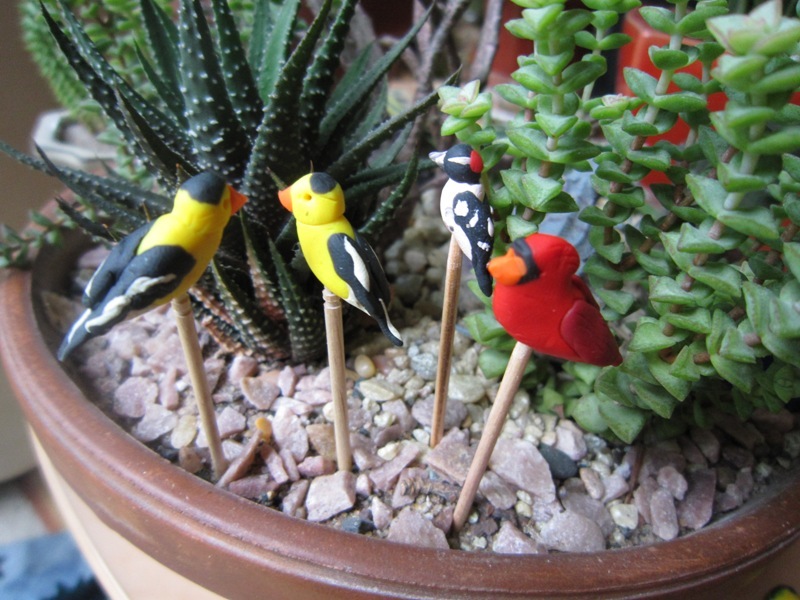 I felt like my succulent garden needed a bit more color, so I decided to make some birds for it. 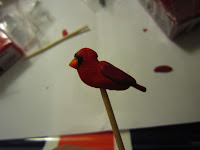 I used Sculpey clay, and made tiny songbirds on top of toothpicks. 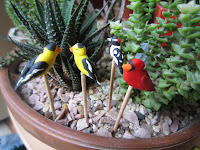 The toothpicks allow them to be placed easily into plant pots (or as appetizer picks). They were very simple to put together. My favorite part of using Sculpey is reducing complicated objects into their most basic shapes. It's like the Ed Emberley of sculpture. The making of the goldfinch is included here. These were my first attempts at this particular project, so I may try again in the future to get them a little cleaner (and expand the repertoire of birds).